When the greatest DC Comics heroes finally unite as the Justice League when the film premieres next week, they'll be going up against Steppenwolf and the armies of Apokalips with the fate of the world at stake. But the movie's cast is already looking ahead to thee future, naming their preferred threats for the inevitable sequel to Justice League. During a discussion with Postmedia Network, stars Gal Gadot and Ezra Miller (Wonder Woman and the Flash, respectively) revealed which villains they'd like to go up against in a new film. "The Injustice League," said Miller, referring to the evil counterparts to the team of heroes. "I think I can speak for everyone in the League when I say that we’re extremely excited by the prospect of continuing this journey. "We don’t really know for sure, and we’re usually the last people to find out, but … each of the heroes in this movie has specific nemeses, and I think seeing some incarnation of the Injustice League (which includes Lex Luthor, Joker, Deathstroke and more) would be something that DC fans would be pretty stoked about." Gadot's answer revealed a personal interest in her character's rogues. "There’s so many good villains in the DC universe, but I would love to fight Cheetah," said Gadot. "She’s a girl and that could be very interesting." The Injustice League is filled with many memorable villains, many of whom are enough to handle a few heroes on their own. But as a group, they're almost unstoppable. Lex Luthor and Deathstroke are particularly notable, and while the Joker doesn't normally work well with others he does tend to work toward a common goal when it suits him. The Injustice League were featured in an arc of Justice League Unlimited where they kidnapped Batman. That team featured Luthor, Joker, Solomon Grundy, Star Sapphire, Copperhead, the Shade, and Ultra-Humanite. There have been multiple variations of the team over the years, including groups of C-List villains, but the most notable iterations have usually been composed of great villains of each individual member of the Justice League. And because so few have shown up on screen in the DC cinematic universe, the possibility for Luthor and the Joker recruiting Reverse Flash, Deathstroke, Cheetah, and Black Manta is entirely possible. But if the Injustice League doesn't show up in the sequel, who else could be a threat? Justice League has been building up the threat of Apokalips, with Parademons, Mother Boxes, and Steppenwolf all playing major roles in the new film. And whenever Apokalips is involved, Darkseid is. But will the Justice League sequel want to feature a threat like Darkseid right off the bat? Or will they save him for something bigger? If not, they could always use classic DC Comics villains like Starro, Despero, or Mongul. The mind-controlling Starro has history with the team, being the first villain the League ever faced together in the classic comics. Mongul would be yet another space-faring villain coming to conquer Earth, but the history with the Green Lantern Corps could add some much needed light to the League. And then, there's Black Adam. Though Dwayne Johnson's role is rumored to debut in Suicide Squad 2 followed by his own solo film, it would be fun to see him mix it up with the League. Maybe even see the inevitable fight with Shazam!, as the character's own solo film will be out by the time Justice League 2 premieres. Either way, there's no shortage of great villains to be featured in the new film. Hopefully we learn more in that post-credits scenes. 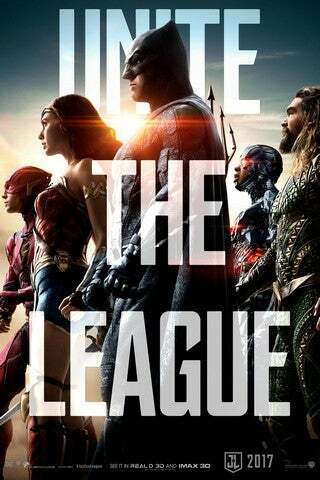 Justice League premieres in theaters November 17.